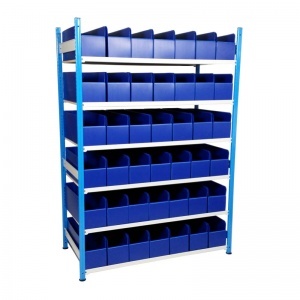 Steel shelving unit with chipboard shelf levels and extra-deep corrugated plastic picking bins. 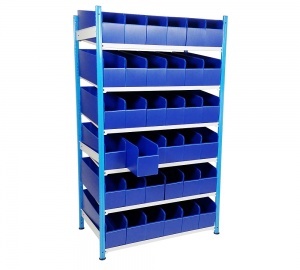 The bins used here are 600mm deep and stand 220mm high. 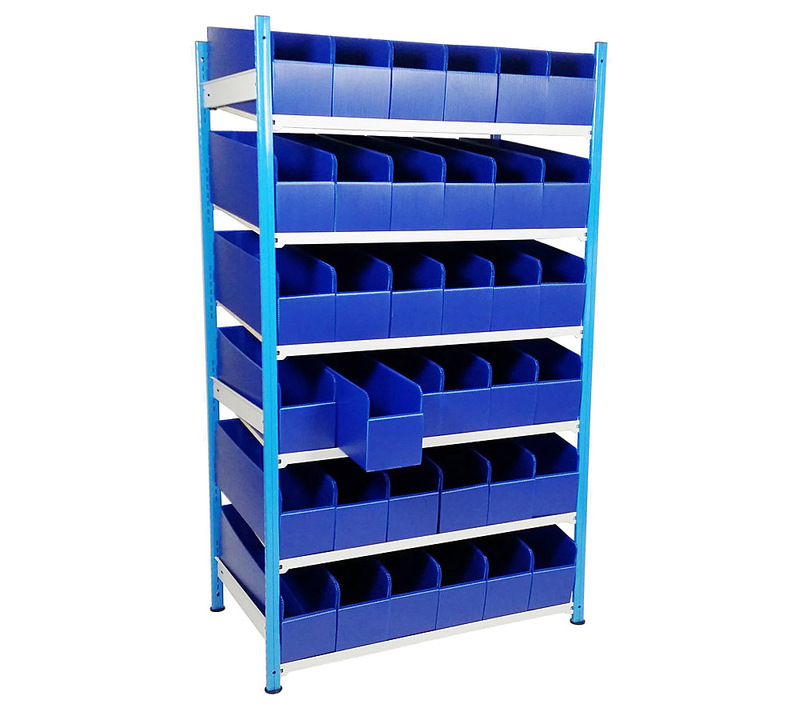 This is significantly larger than standard K-Bins sizes and lets you store a wider variety of items, especially for longer products. 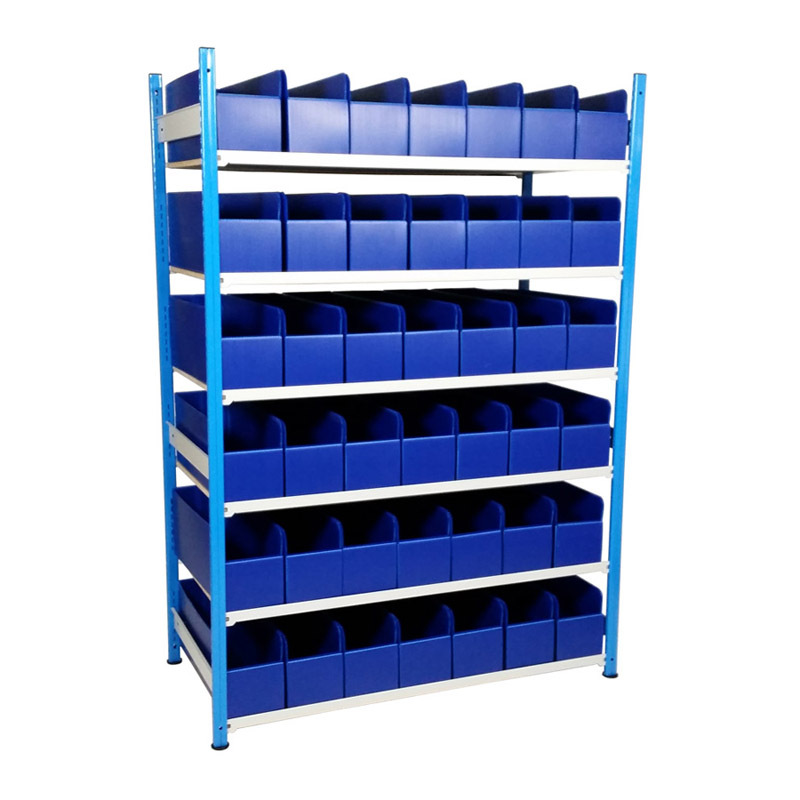 Each level can be set at either horizontal or sloping positions, this allows you to setup the shelving exactly as you need it to perfectly suit the goods being stored. 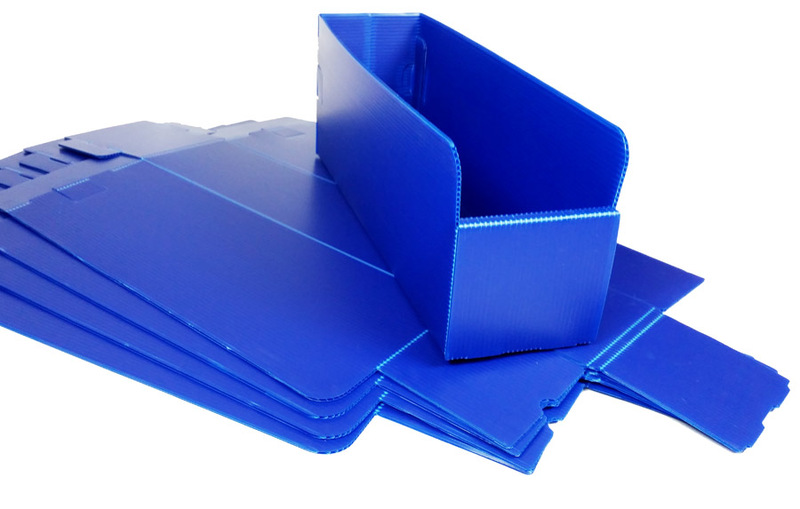 Whichever configuration you go for, you will still have a lipped edge front and back which stops the bins from sliding forward or backward unnecessarily. 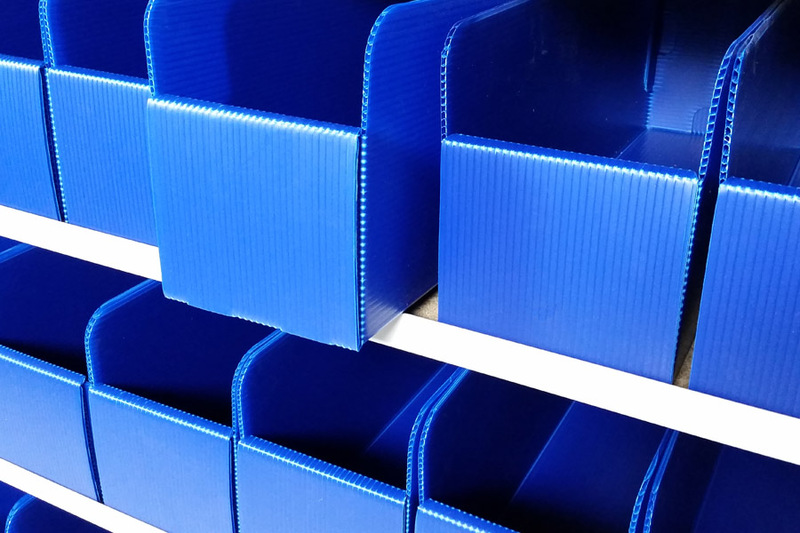 Note: For sloping shelves the rear shelf support should only be set up to a maximum of 3 slots (75mm) higher than the front.